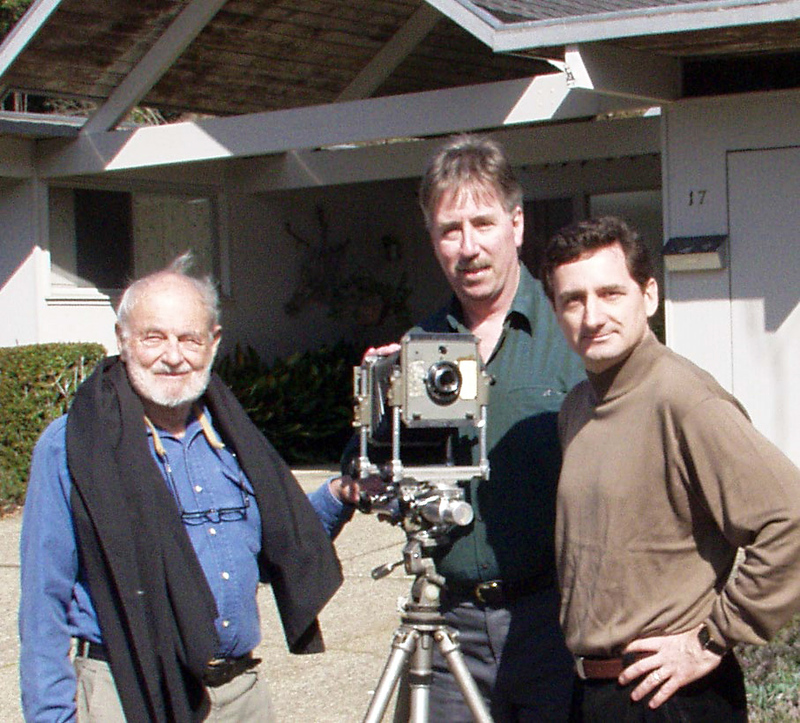 Eichler book co-authors (L-R) Ernie Braun, Marty Arbunich and Paul Adamson. 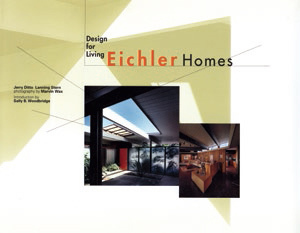 Two books played a major role in increasing appreciation for the 11,000 Eichler homes: Eichler Homes: Design for Living by Jerry Ditto (top) and Eichler: Modernism Rebuilds the American Dream(above) by Paul Adamson, Marty Arbunich and Ernie Braun. Hollywood was an early adopter of the style. Another dealer, quoted in the same article, told the Times, "L.A. is driving the market right now. Since the movie colony embraced modernism and started buying and restoring modern houses, mid-century modernism has gotten very trendy." That was 1999, the same year Chris Menrad bought his unknown little butterfly house in Palm Springs. A few months after his arrival, he recalls, an article on the style, complete with gorgeous color photos, ran in Vanity Fair magazine. "It changed the tide of everything for everybody," Menrad says. "It got out to the world. It made [mid-century modern] romantic, and interesting sounding." Positive press begat more positive press. Andrew Danish began writing Palms Springs Weekend, his 2001 book with co-author Hess, after reading an article on the town's architecture and lifestyle in the New Yorker. 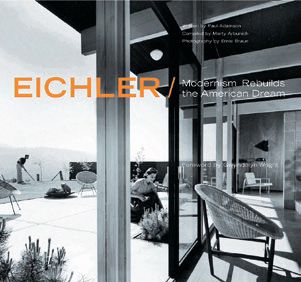 More than magazine articles and design exhibits, though, what really saved mid-century modernism as a living, breathing thing happened inside people's homes, as homeowners began restoring their siding and more, and talking up mid-century architecture and lifestyle with their neighbors. For many years CA-Modern ran a 'Neighborhood on the Rise' feature about mid-century modern neighborhoods whose earlier residents forgot their history, watched as stucco or aluminum siding covered up vertical-grooved paneling, and let community gatherings wither away. The 'Rise' feature was eventually dropped as, neighborhood after neighborhood, people restored their homes and revived the communal mid-century vibe. It reached the point that every neighborhood that could arise had arisen. Typical is what Eichler owner Karl Underwood expressed a few years ago about the Eichlers of his Rancho del Diablo neighborhood in Concord. Gazing into the future, we may wonder: how soon will the mid-century modern bubble burst? "Never," say the style's fans. For one thing, there are still new aspects to discover, Suzanne Cheverie-Pugh says, mentioning crafts from the era as one example. This is true also in the field of architecture. Many mid-century modern tracts, in such areas as Orange County, remain undiscovered and unappreciated, or under-appreciated. And the love that modernism fans give to their Eichler, Streng, or Alexander tract homes often does not spread to designs of a similar bent for mid-century office buildings, banks, schools, and other such structures. Too many of them are ignored and get torn down or poorly remodeled to this day. It appears much fuel remains to kindle the torrid love for mid-century modern design. "I don't think it's temporary," says Menrad of the 25-year revival that's still climbing in popularity. "I've been here long enough to have heard, 'It's a trend. It's over.' It never happened. It's actually growing in intensity."